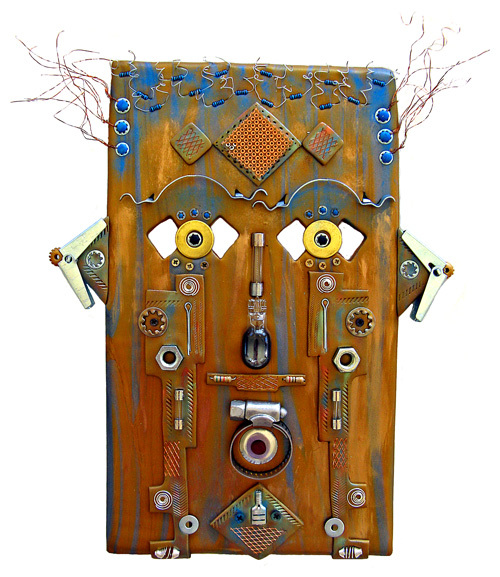 When artisans create masks, there is often a strong element of personalization that occurs even in those forms that have been passed down throughout the centuries with loving care. There are parameters and outlines which are necessary for each characterization, but there is always room for personal decorative interpretation and detail. 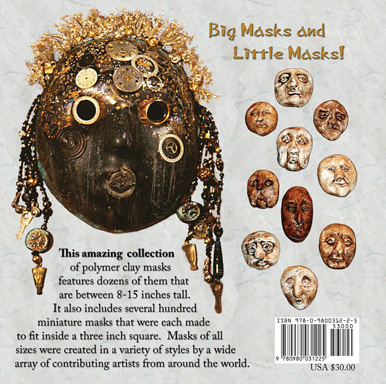 Sculptor (and author of several of her own wonderful books) Katherine Dewey created the mask seen gracing the front cover. 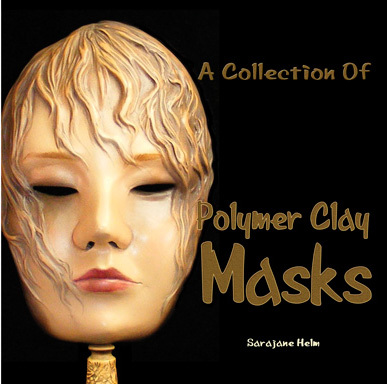 My own Time Mask and Melanie West’s set of ten miniature masks are on the back cover. In between the covers you’ll find lots more masks! At last count there were more than 500. 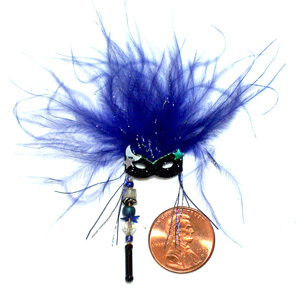 They range from miniatures as small as a coin like this one by Diane Paoane to full sized wearable masks and wall hangings lik Tech Wiz, created by Anne Kruglak. Most fit within a 3 inch square! All have the common element of being made with polymer clay. More than150 different artists are represented in the beautiful work seen here. Many of the masks were collected through the Internet miniature mask swaps that have been held from 1997. 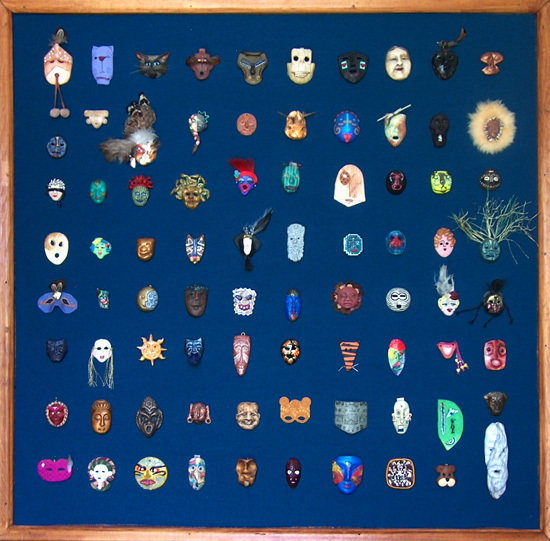 Some of them are now mounted in wall hangings like the one seen here that features masks from 1997-2003. The frame measures 3’x3′. Taken all together they form a sampler of polymer clay techniques and decorative styles as well as an extensive miniature collection of expressive art. It’s just astounding, how much can be communicated with a mask!